This multiple award-winning Bluetooth-equipped bike helmet was inspired by an accident: “I fell off my bike a few years ago, which landed me in the hospital,” company founder Brian Zheng recalls painfully. “This inspired us to create the world’s first smart and safe helmet.” His solution addresses the most common causes of biking accidents—cell phone use and signaling other riders and traffic. Built-in Bluetooth speakers allow hands-free phone use for calls and directions, while lights incorporated into the back of the helmet signal braking and turns. • Built-in SOS alert sensor to alert contacts via app in case of an emergency. • Walkie-talkie technology to chat with other riders. • USB-chargeable—holds a 12-hour charge. • Rear smart lighting that automatically turns on in darkness / off in daylight. • Stereo speakers to safely enjoy music, directions, or phone calls while riding. 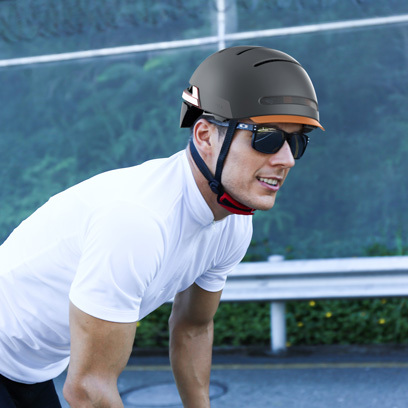 The design seamlessly integrates all these benefits into your head protection for the ultimate commuting or recreational riding accessory. At MoMA Design Store, we're constantly seeking out wearable technology that not only makes your life easier, but safer as well. 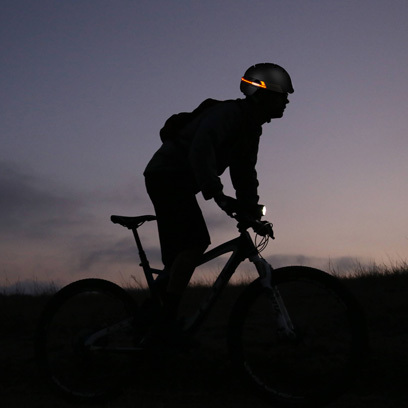 The goal for Livall was to create the world's safest cycling helmet. The remote-controlled indicator lights of this fully equipped design are integrated in the helmet, which increases safety for cyclists. 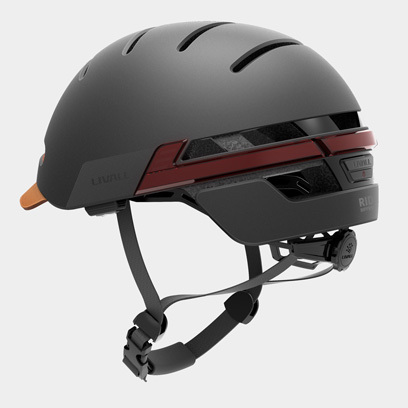 The Smart Bike Helmet also eliminates the danger caused by cyclists cancelling out noise with in-ear headphones: Livall's design features built-in speakers that allow cyclists to hear the sounds of traffic so they can stay alert at all times. Built-in Bluetooth speakers allow hands-free phone use for calls and directions, while lights in the back of the helmet signal braking and turns. 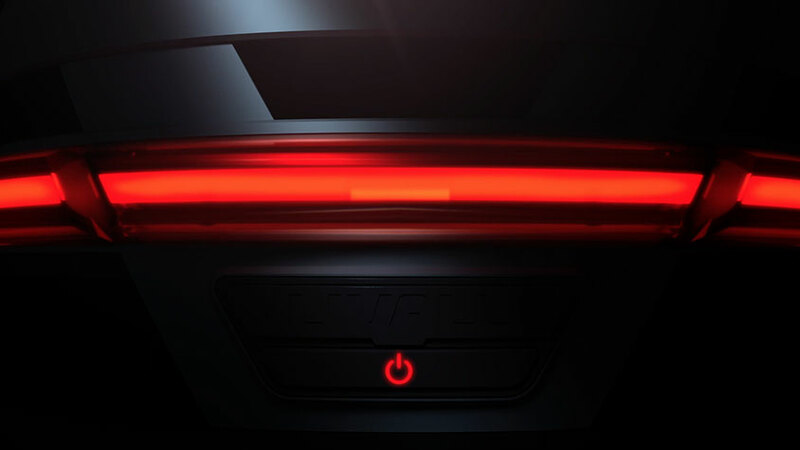 Rear lighting automatically turns on in darkness and turns off in daylight. Weighing only one pound, the Smart Helmet also features a handmade leather brim. In the event of an emergency, a built-in SOS sensor alerts your contacts via an app so they can take action.